We are living in an era where the job market is quite a challenging one. With a Bachelor of Science in Nursing (BSN) accelerated program, any person holding a Bachelor’s degree gets the chance to quickly move into a field that has meaningful flexible work and a good salary, all in one pack. These programs will need about 6 to 14 prerequisites – more so science classes and other additional ones like statistics, nutrition and psychology. To develop The 50 Best Accelerated BSN Programs for 2017, we surveyed 170 schools based on information provided on their website as well as testimonials from alumni. The National Center for Education Statistics data was also helpful in assisting us complete the ranking. We looked at various factors such as locations, variety of programs and other features that attract students to the program. This assures you that we did a comprehensive research so that you do not miss out on the best offerings out there. Besides that, we have also done our best to look into the cost, completion rate and school’s reputation. Students in search of the best BSN programs will thus have to figure out which of the above features rank high on their requirements. That will assist them to choose accordingly. All the schools ranked here are accredited by the Commission on Collegiate Nursing Education (CCNE). Happy browsing as you make exploits of your new exciting venture! Duke University is the private counterpart to University of North Carolina (UNC). This university is located in Durham NC and it occupies 8,600 acres of land. With approximated population of 15,000 students, this university is also recognized when it comes to scientific researches apart from having one of the best Basketball team in the state. Duke University was established by Quakers and Methodists. Later in 1924, this school was renamed after the famous, tobacco and electric power industrialist known as James Buchanan Duke who had set up the Duke endowment. The required cost in Duke University is considerably higher than that of UNC. For this reason, approximately 50% of the students do receive financial aid. This school of Nursing have 6:1 ratio of student to faculty. The time required for accelerated BSN program is four complete semesters which should be 16 months. This should include 800 hours allocated for clinical experience. If a candidate takes some of the electives on a graduate level, he or she may transfer to masters or doctorate nursing degrees. In its adverts, Duke University emphasizes on wellness and prevention, evidence based on nursing practice, clinical leadership, simulation, virtual and standardized patients and culturally relevant care using dynamic teaching and learning strategies. Was established in 1931. 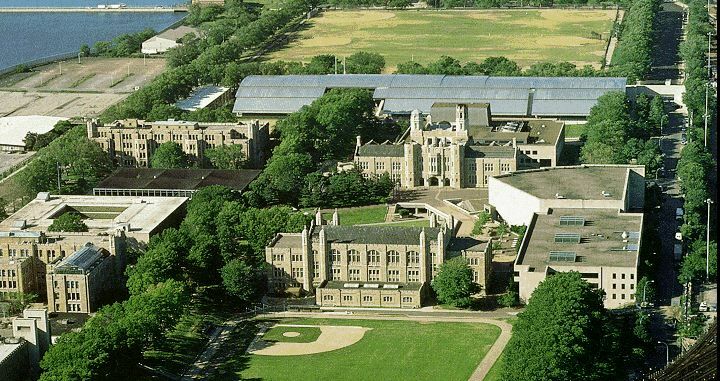 The location of Lehman College is a tree-lined campus in Bronx, New York. It has got more than 10,000 students and operates as part of the City University of New York system. Lehman’s official colors are white, royal blue and yellow. Among the most iconic features you will get to see in the campus include the fitness facility, its postmodern style athletic, the Professional Arts Theatre that hosts 2,310 people, the Lehman College Art Gallery and the art multimedia center in Carmen Hall. The total tuition fee for each semester is as follows: the out-of-state students pay $8,400 while the in-state students are charged $3,165. This is a private research university located in Baltimore, Maryland. The JHU and its nursing program have been operational since 1889, making it one of the oldest in the United States. Johns Hopkins University BSN accelerated program takes up to 13 months and costs $74,000 tuition, insurance and other education costs. These charges do not include books. Some of the strong points that the university boasts of include its special attention on returning Peace Corps volunteers. The students get to collaborate with colleagues who have international experience of over 40 countries. JHU has from time and again been ranked as one of the best schools not only in the country but also worldwide. To get a chance for the BSN program, you must be a top high achiever. Persons with a BS from another field also qualify. Michigan State University is in Division I school with different variety of 25 teams not forgetting, it is part of the Big Ten Conference .The most enjoyable social life comes from basketball and football games as students report. The school university has a very large student body; hence in most cases you would find students group in almost everything .The school of nursing is ranked 31 in U.S news and world report for online programs for the graduate. The school also created program-DNP giving $7.45 million from NIH, the money is for enhancing research facilities among others. The university’s program takes 14 months. Classes being at Detroit Medical Centre or East Lancings.Applicants must have 2.75 GPA with 2.0GPA in the mandatory sciences with 10 required prerequisite courses. Gywnedd Mercy University is Catholic university located in suburban Philadelphia. It was founded in 1948 and has grown to establish an educational center with interesting convenient curriculum, as well as a caring environment of classmates and community. The university is reputable for its excellent nurses because its nursing degree programs consist of a mixture of clinical experience as well as theoretical training. As explained on its website, the Gywnedd Mercy University nursing programs have over 125 health care affiliations. The Bachelor of Science in Nursing degree completion program brings you the same quality nursing education in an online format. It is designed to be taken by the current registered nurses having an ASN or nursing diploma. The targeted participants are the kinds of people who seek to boost their qualification in the field and gain a competitive edge in the job market. Whether you are taking the course in campus or online, you get 126 credited programs that places leadership, research and serving as the top priority. Some of the strong points for the Gywnedd Mercy University include its ethical focus in education and service. It also advocates for flexible education and accelerated education. You also get to chose whether to take the course on campus or online. Roseman University provides an accelerated nursing programme fully accredited by the National League for Nursing Accrediting Commission. The University is famous for its strong footing in churning into the market health care professionals well competent in what they do. The following campuses offer the Bachelor of Science in Nursing Program: Utah, South Jordan, Nevada and Henderson. You can access the coursework online so that you have an easy time scheduling your studies. The College of Nursing at the various campuses offer a 16-month programme for the Accelerated Bachelor of Science in Nursing (ABSN) program and a Bachelor of Science in Nursing (BSN) degree that may be completed in 18 months. The mission of the College of Nursing is to provide a high quality and innovative education. Students get to fulfill this mission throughout their study time. After graduation, students are eligible to take the National Council Licensure Examination for Registered Nurses (NCLEX-RN). Once they have successfully completed, they can assume entry level positions in various health facilities. Just like most nursing programs, students get a chance for hands-on experience through the numerous arranged clinics. The total fee for the program is $58,550 per year with students getting options for various financial aids. Medical University of South Carolina is a public university located in Charleston. The College of Nursing was started in 1883 with the mission to create an environment that is accountable, respectful, adaptive, and innovative. Its Accelerated BSN degree program is scheduled to be offered to the student for 16 months, four consecutive semesters and the summer semester included. The course is available only offline in the campus with no option for online coursework. USC is an academic health science center environment, and the other Colleges on campus are Medicine, Graduate Studies, Dentistry, Pharmacy, and Health Professions. This program seeks to increase one’s value, knowledge and skills that are vital in the current health care system. As a nurse prepared through the BSN program, there are a variety of health care settings that you get to work in. Accreditation Council for Continuing Medical Education and Commission on Collegiate Nursing Education (CCNE). If you are after getting a second degree then this program is good for you. Students enrolling for a BSN program at the institution should expect to be done within 12 months. The tuition fee is charged at $16,685 for the resident students and $50,804 for the non-resident students. This fee does not include fees, books and uniform. The bodies that have accredited the institution are the Commission on Collegiate Nursing Education (CCNE) and Higher Learning Commission North Central Association of Colleges and Schools. The BSN program targets students possessing a bachelor’s degree in a separate field. The 13 week semester session and 16 weeks two semesters program is offered in all the 3 NE campuses. It is an intense and competitive program that requires a strong academic base. In most cases, the age of the students tend to be older than the average college student. As explained on its website, UNE offers students with an integrated learning experience. This focuses on innovative education and interdisciplinary collaboration, research and service. The total time required for the BSN program is 6 months with a payment of $32,880 fee. Registered nurses get an opportunity to earn a BSN degree just within three semesters. The institution offers an on-site pre-licensure 3-year BSN, as well as online post-licensure nursing degree options consisting of the RN to BSN Online Option, Master of Science in Nursing, Doctor of Nursing Practice and Graduate Certificate Programs. The online option allows registered nurses to earn a BSN degree in as few as 3 semesters. The option offers the flexibility of online learning, with 24/7 access to courses and no mandatory login times. The Master of Science in Nursing online degree program has five tracks: Educator, Executive, Healthcare Policy, Family Nurse Practitioner or Nursing Informatics. Each track allows registered nurses to earn an MSN degree in as few as two and a half years. 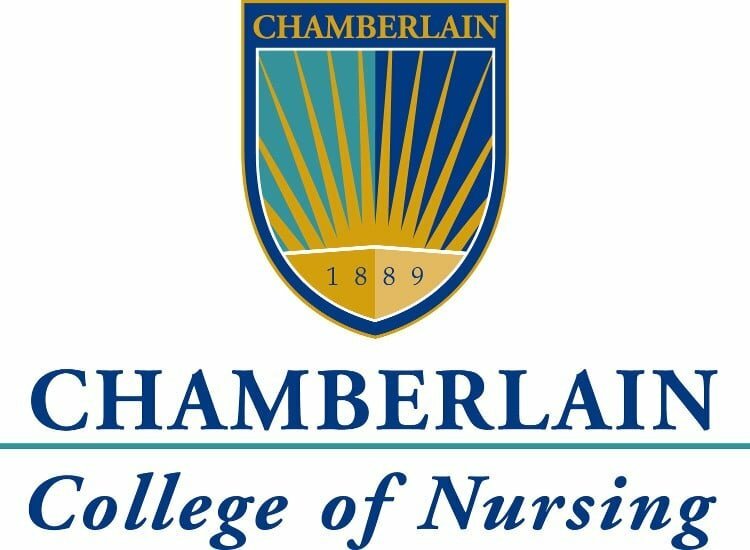 North Central Association of Colleges and Schools has accredited The Chamberlain College of Nursing .